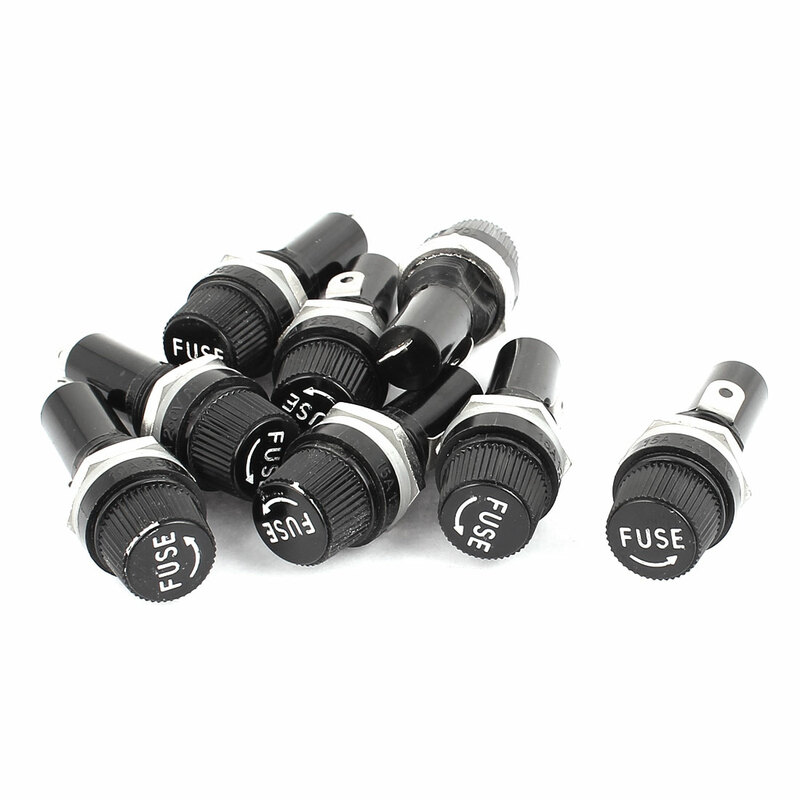 This panel mounted fuse holder is suitable for 6 x 30mm type fuse. With screw cap and solder-lug terminals. Rated Voltage : AC 250V 10A 125V 15A;Thread Dia : 15mm/0.6"